As a project of our Girls of Color Fund, the Reproductive Justice Activists (RJA) program seeks to center the voice and leadership of young women, non-binary youth, and allies in an effort to imagine and create a society free from all forms of reproductive oppression. In doing so, the youth activists will work closely with us to identify ways for the Foundation to build a strategy around Reproductive Justice advocacy. 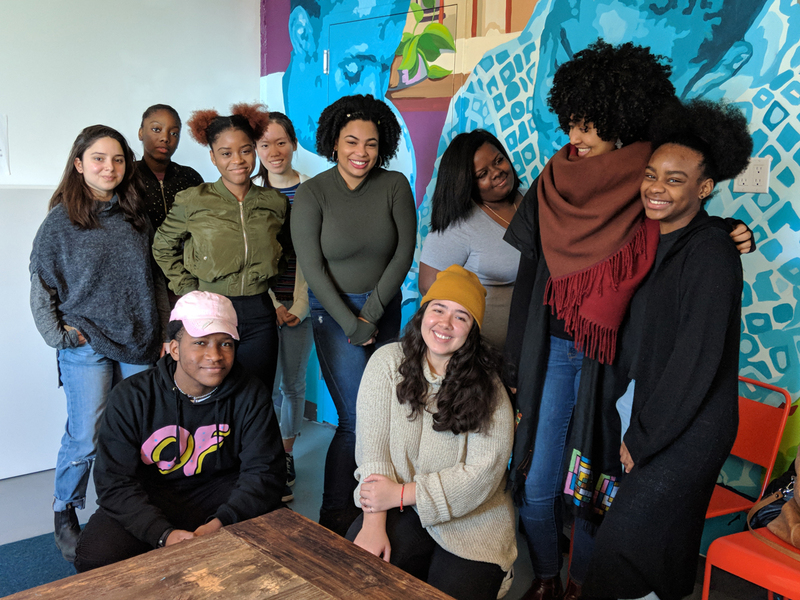 Build leadership and capacity of 10-12 activists of color to serve as informed advocates on reproductive justice and their own lived experience. Bring Reproductive Justice lens back to their affiliated organizations. Working with the RJA, plan and develop our Reproductive Justice advocacy efforts. Inform and guide Brooklyn Community Foundation on how best to deploy and guide resources for RJ advocacy. October 18, 2017 – November 30, 2017: Four reproductive justice intensive learning sessions with community and national partners. June 2018: RJAs share priority advocacy recommendations with Brooklyn Community Foundation and organize an action/celebration. Email rja@bcfny.org with any questions about this program.